I love one really good thing. I love Mondays, Mozart, Monet, and Henri. I enjoy the beach, the mountains, family meals, cooking together, a superb wine and a fancy champagne. 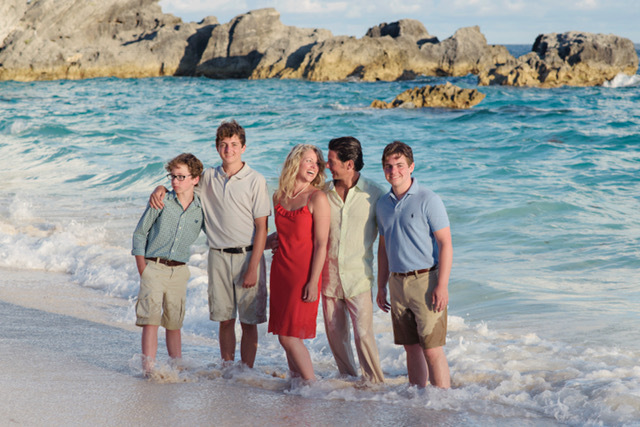 Bermuda Blue is my color of the year and Authentic, Generous and Gracious people inspire me. The Butcher, Our Children, Our Home, Our Market, and You… Our Special Customers… are my Top Priority. I enjoy everything I do. January, is a beautiful time to stop and take a breath. Clean up and start fresh. Make a list. Look for the opportunity in the new year, and set into motion the experiences you look forward to and the moments that you’d like to accomplish. The past several years have been a time of growth for me. As a Wife, as a Mother, as a Person. Our Market, a small family business, has been integrated into our daily lives from the beginning, but never to this extent. The appreciation that I have gained for how hard Anthony has worked over the past thirty years at the Meat Market, has reached a new level. I am extremely grateful to him, for continuing the tradition of Butchery, which is an art form that when done correctly, is beautiful and necessary to our existence. Every year brings something new, but the lessons from the past four years have been especially vital for me and for Anthony. The year 2013 was a turning point in our family and in our business. Anthony and I deeply evaluated what we wanted for our family and for our market. We discussed the changing energy of our customers needs, the quality of product that our customer was asking for, and the amount of time that our business needed from Anthony and from myself. The ultimate conclusion from our evaluation, was that after being a “stay at home mother” for fourteen years, I would begin to work at the Meat Market. Knowing that this would be a very big change in our home, also made us decide to close our Market every Monday so that we would have one day to pause and reorganize each week. Chowfancy is a combination of Anthony and Myself. Chowfancy defines learning to rest, not to quit. Chowfancy takes hard work, dedication, compromise and a balancing act of sorts. Chowfancy means love what you do. Do what you love. Chowfancy reminds us that change is good and new adventures are essential. 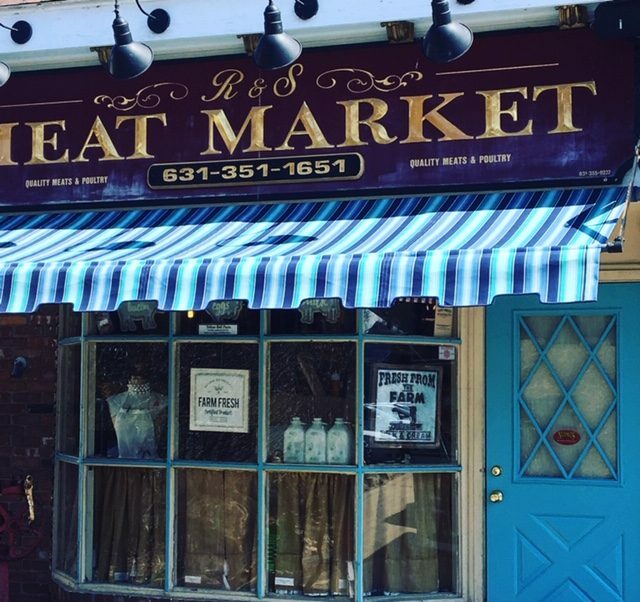 When you visit R&S Meat Market, you are entering an extension of our home. In our home our methods are, less not more, quality over quantity, fresh is best and family first. Our staff, our products, everything you see at R&S is handpicked by us. If we would not use it or feed it to our family you will not find it in Our Market. Customer service is of utmost importance to us. You deserve the very best and we are honored to bring it to you! Our Special Customers, are a part of our story. We are grateful to you and completely enjoy you! Cheers to a fantastic New year 2018 and Cheers to 53 more Mondays! We love you and appreciate you too Stephanie XOXOXO Happy 2018! To Anthony and Keri, What a pleasure this morning to read your message. It speaks to our deep human need to “belong”, to be “part of Something”. You are creating community with your business and as your customers, we get the special attention that makes us feel good. What a treat for Huntington! Thanks you and all your wonderful staff. We appreciate your beautiful comment Mrs. Nidds. You are always a bright light at our Market and we are so happy that you enjoy it! We truly appreciate our Huntington Community! Wishing you the Happiest of everything in 2018! I love your store—the organic meat, the attention to excellence, the helpful staff. Thank you Doc! We appreciate you and wish you all the best in 2018! Wow! . . . I just can’t add anything to this . . . except . . . Bravo! Thanks for the love Jim! We appreciate you and wish you a super Happy New Year! Wow! I just moved back to the Huntington area after many years in NYC and you were recommended by a fellow Mom that only wants the best for her family. I decided to stop in and what a treat! I just love your amazing salads, your fresh meats, those giant chocolate chip cookies (that I don’t share with my kids 🙂 ) and most of all the energy and family atmosphere found in your shop. I agree, a meat market today is a lost art and so happy you too are getting back to basics, taking time for each other and sharing your values and talents with our community. Thank you!! How beautiful to read you lovely comment Candace! I think we may have met in person today and I am so happy that you love our shop and our family atmosphere. You are very important to our small business and we very much appreciate you! Chowfancy!